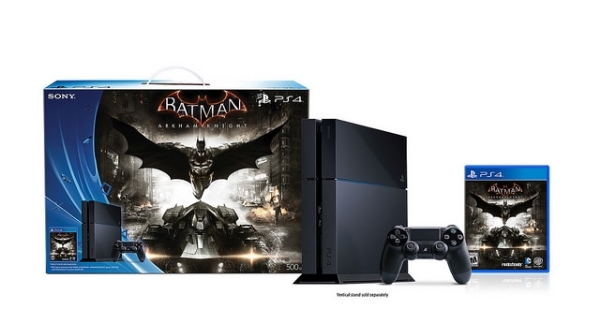 Interested in getting a PS4 for Batman: Arkham Knight? Than there is a special Playstation 4 bundle that will please you on both fronts. A special Steel Gray PS4 system with a special Batman: Arkham Knight faceplate with a matching Duelshock 4 controller along with the game of the same name can be yours for only $449.99. If this may be out of your price range, you can get a regular black PS4 system bundled with Batman: Arkham Knight for $399.99. Playstation 4 owners will also get access to content before PC and Xbox One users, which include additional missions and custom skins. The bundles will release alongside the game on June 23rd. A new trailer along with a release date for Assassin's Creed: Chronicles can be seen above. Rather than just one location set in China (as said in when previously revealed a while ago) two more locations and assassin's will be included. Assassin's Creed: Chronicles releases on Xbox One, PC, and Playstation 4 on April 21st. Here are the free games for Playstation Plus in April. Hope you're not planning on a big online match in NBA 2K14 today, as online service has been discontinued. Curiously, Top Spin 3 & 4 are still supported, along with WWE 2K14. Let's hope this is not a trend that continues, with sports games' online services getting pulled early. Feeling bored? Try loading Google Maps and play some Pac-Man....in Google Maps.